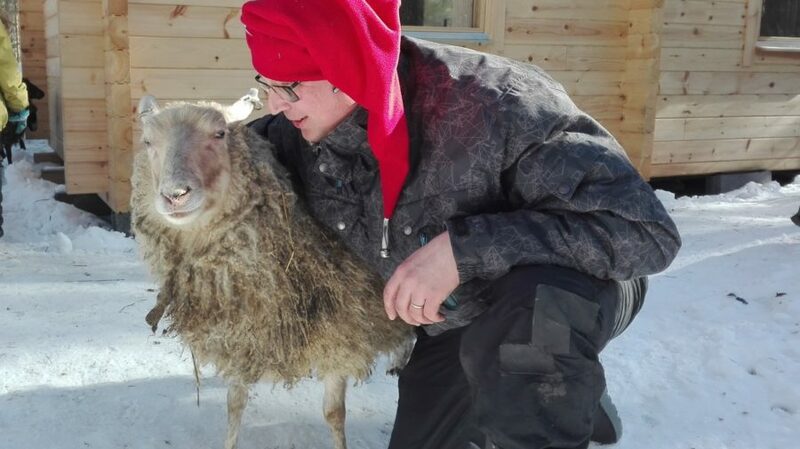 In the traditional rustic atmosphere in the Arctic Circle next to Santa Claus, lives sheep, goat, rabbits, hens and rooster. 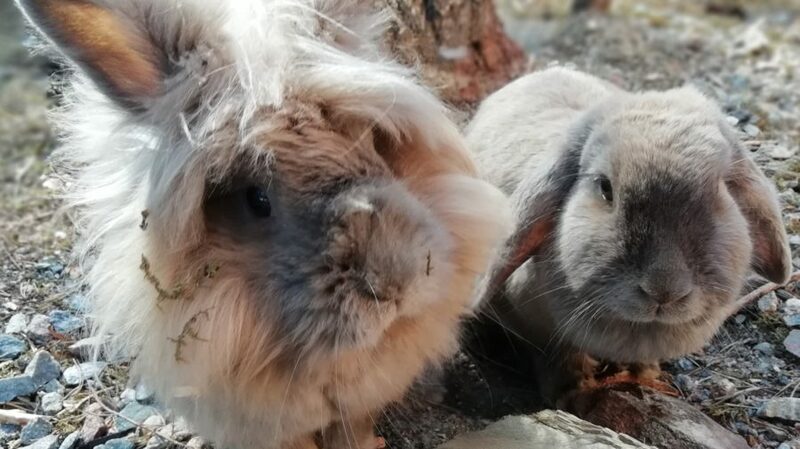 On our yard you can familiarize with our domestic animals in their daily activities in Arctic weather conditions and on the top you can observe, pet and feed for example our gentle sheep. 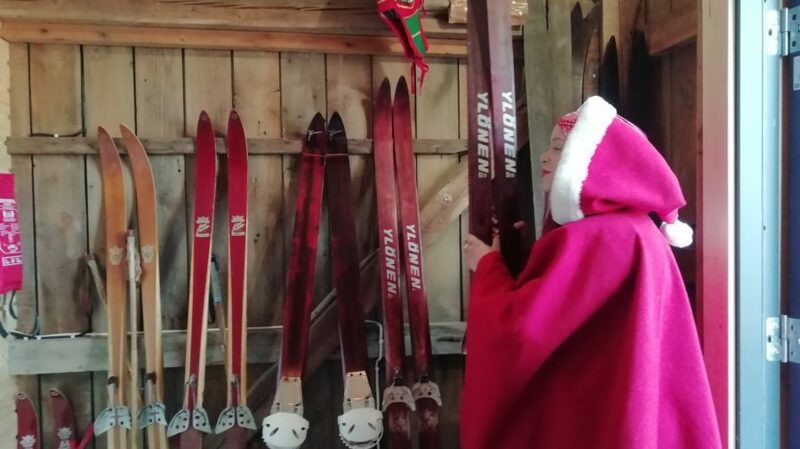 In winter time, elf’s yard offers an opportunity to cross Arctic Circle with traditional Lappish wooden skis, all needed equipments are provided at Yard. On our snowy slide hill you can enjoy safe ride down and this is also suitable to the smallest family members too. Next to our campfire, you can bring and eat your own picnic or buy a little delicacy and a drink from the elf’s store. In summer we have more domestic animals to see in real Arctic context. In addition to the domestic animals, there is a playground in our yard. All this is included in the entrance fee. The Elves sell homemade products made at Rovaniemi. 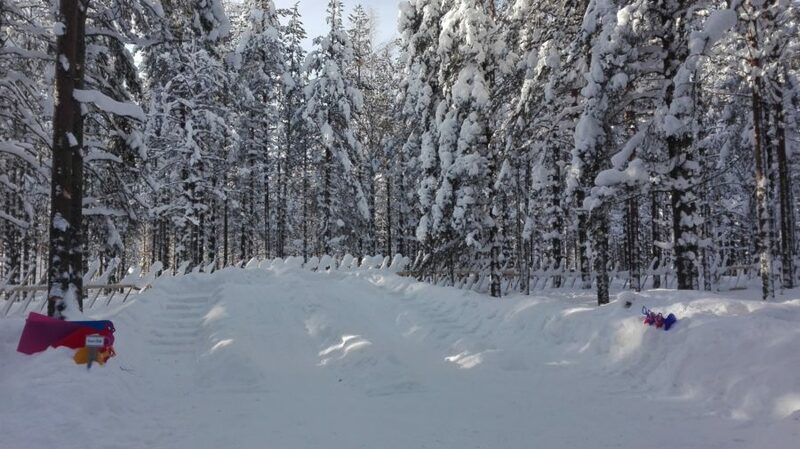 Elf’s Farm Yard is located at the Arctic Circle, north side of the Santa Claus Village and quite near Santa himself. More details about opening hours	Open Mon-Fri 10-16, Sat-Sun 11-16. At other times by request. Price information	Prices are valid for winter time 2018-2019. 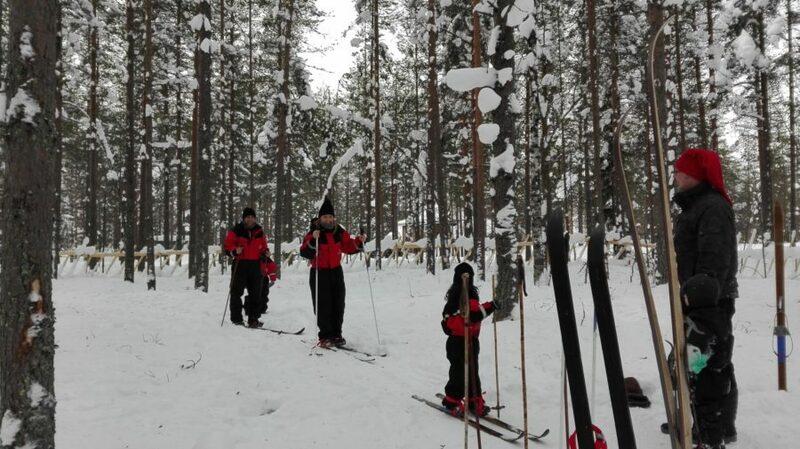 The price includes watching the animals, skiing, snow sliding, elfs path and using the campfire site. All needed equipments are provided at Yard.